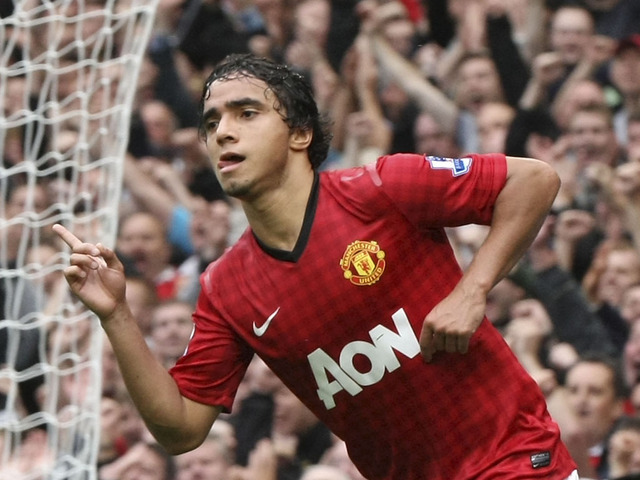 Rafael – Has the penny finally dropped? In 2008, Manchester United announced the signings of two very promising young defenders. So promising in fact, they were even compared in their homeland to the legendary stalwarts of the vintage Brazilian world-cup winning team of 2002- Cafu and Roberto Carlos. Once again, it was kudos to our stellar scouting system, travelling far and wide to run the rule over some of the best young talent in the world, that we secured the signatures of twin brothers Fabio and Rafael Da Silva, with some of Europe’s elite casting their eye over them as well. Both Da Silva twins came from humble backgrounds, they were spotted at a Nike Tournament played in Hong Kong in 2005. Even then their infectious enthusiasm and love for the game was clear. The man credited with scouting the twins, Les Kershaw, gave glowing reviews of the Brazilians when he touched back down in Manchester. He reportedly told Sir Alex Ferguson that they both reminded him of ‘two little whippets’, due to their age they had yet to make a first-team appearance back in their native Brazil with Fluminense. Their lives were about to change forever, they had spent their childhood playing on the streets, similar to one Cristiano Ronaldo. There can be no doubts that Rafael has made the greater strides since arriving in Manchester. Fabio’s time with the club has been blighted with a series of injuries, meaning Patrice Evra has had to play more games then he probably should have in recent times. Despite playing in a Champions League final against Barcelona, Fabio is currently plying his trade at Premier League side QPR, where he has not had the best of starts. A 0-5 drubbing on the opening day against Swansea has been followed most recently with a hamstring injury against Chelsea. With the arrival of Alexander Buttner, who has impressed both at U21 level and capped his Premier League debut with a man of the match performance against Wigan during which he scored and claimed an assist, Fabio has an uphill struggle at the moment to convince Sir Alex Ferguson of a long-term future with United. One of the many things that has epitomised Sir Alex’s tenure at United, is his unreserved faith with youngsters trying to make the grade. His willingness to be patient and to blood the kids has resulted in United producing some of the best players in the world, look no further than the unprecedented ‘Class of 92’ as evidence. When people on the terraces have criticised Rafael, who has believed in him the most and continued to trust him? The ultimate judge, the gaffer. As Rafael embarked on his United career, he started off in a fashion that we still see today. His fearless attitude combined with boundless energy and enthusiasm can more often than not lift a crowd when needed. He would put in a crunching tackle, somewhat atypical for a Brazilian, or go on a solo run to create a chance. Sir Alex teaches the players to play without fear, to take chances and be brave in decision-making, Rafael takes no prisoners in this regard. In the early stages, Rafael would recklessly dive in to a tackle and get exposed in behind him or make an ill-judged tackle after a lapse in concentration which would lead to him getting booked. But anyone has seen Rafael in the flesh will tell you he is a committed and energetic player and this adrenaline rush will result in naivety and callous decisions at times. This is commonplace with young defenders who are trying to make their way in the game, but the only way this will be eradicated is with regular games and will come with experience, which Rafael will get. It is a well-known truth that young defenders will make mistakes and have defensive lapses and it was no different with Rafael. However, his kid in the park like exuberance and dogged tenacity quickly made him a firm favourite at Old Trafford who recognised a deep-down desire within him to learn and develop under the tutelage of a certain right back called Gary Neville. Here was a player who had made the best of limited ability to forge a career at the highest level spanning a couple of decades. Who better to learn the crafts of the trade, of being a defender in the Premier League from than the man who symbolised everything that it means to play for Manchester United? Gary Neville in his autobiography said ‘teams would ask about me, they’d beg to have Phil’. The same applies to the Da Silva twins, back in Brazil Fabio was deemed to have the brighter future, whereas in reality, Rafael is climbing the United ladder quicker than his brother. They say ‘one’s man’s misfortune is another one’s gain’, well in this case it’s more a case of ‘two men’s misfortune’. At the start of the 2011-12 season, new signings Phil Jones and Chris Smalling took to United life like ducks on water. Jones was simply imperious at right-back, drawing comparisons to the great Duncan Edwards, dizzy heights. Smalling also filled in at right-back due to Rafael’s early-season being truncated by injury layoffs. 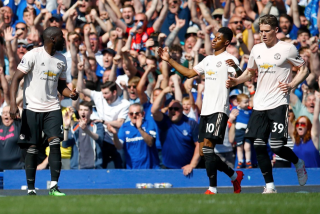 Despite their promise and consistent performances which certainly defied their ages, both Jones and Smalling see themselves as natural centre-backs, where they had both shown their talents at Blackburn and Fulham respectively. These two, alongside Jonny Evans, will certainly be the mainstay of United’s central defence when the colossal partnership of Vidic and Ferdinand will eventually have to take their curtain call. This plays right into Rafael’s hands. Rafael is the only out and out right-back the club possesses, and despite the two aforementioned filling in, as well as Antonio Valencia putting in a shift from time to time, Rafael is the only viable long-term candidate who is deemed a specialist in his position. Rafael has made a flying start to the current campaign, he has started every league game thus far and finally looks set to deliver. He looks to have matured as a footballer, his tendency to dive in is still there but has become more controlled, he has been getting forward with his typical verve and has even managed to get on the scoresheet against Fulham, would have been two had it not been for his enthusiasm taking him offside in one particular attack. Three reasons come to mind for Rafael’s outstanding displays. Firstly, he has had to grow up a bit at United. The temporary departure of his brother means he can no longer live a sheltered life, it’s time for him to come out of his shell. 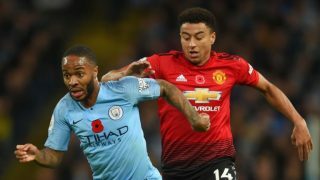 The brothers were living together in Manchester, but maybe his new independence can bring high-quality displays on the pitch and a new-found maturity and consistency. Secondly, he started this season having finished runner-up with Brazil at the Olympic Games. He has already been capped at International level, and facing some of the world’s elite on a regular basis will result in improved performances. Lastly, no-one really reads much into shirt numbers, but giving Rafael the No.2 shirt could prove to be a master-stroke from the manager. The No.2 signifies defensive stability and solidity, which should be Rafael’s primary goal, to improve his defensive work, something he has already acknowledged. He told United official matchday programme United Review: “Of course, as a player you can always improve something. I think I need to improve my defending and I have said this since I arrived here,” he added. 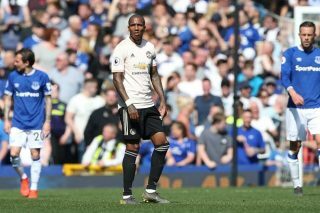 “I keep working hard at that and I will keep working to try and improve.” The No.2 shirt should give him the confidence, not that he needs anymore, to be a constant in United’s defence and is a direct message that Sir Alex believes he can be the answer to the void left by club legend Gary Neville. That said, Rafael has cost United in the past, he was at fault for most of the goals in the ill-fated 4-4 draw with Everton last season. He got sent off against old foes Bayern Munich despite getting the better of one of the better wingers in the game Franck Ribery for the most part, one clumsy challenge ended his night and changed the dynamics of the game, Bayern would ultimately progress. Most United followers would agree that Rafael’s impetuousness has abated over the last year or so, however there are still some uncertainties hanging over him in terms of his in-game concentration levels. The stand out moment from last season that emphasises this point emphatically is in the home Europa league tie against Athletic Bilbao when the day-dreaming Brazilian inexplicably allowed the silky young Spaniard Iker Muniain to drift in at the far post to seal United’s fate. In fairness, such lapses have been rare but it is a lesson for him that he must stay focused for the entirety of the game, as defensive mistakes are more often than not punished at the top level. Rafael has already shone against some of today’s quality wingers. I have already mentioned his containing of Franck Ribery but on more than one occasion, Ferguson selected the Brazilian to control Welsh-flyer Gareth Bale, I can now remember three instances where Rafael’s performance meant Bale couldn’t have the influence on the game he’d have wanted. Bale has been in demand for a couple of years now and Rafael has got the better of him every time. Stability in his life off the pitch has resulted in all-round improvement on the pitch. He has become a married father and happiness off the pitch has it’s rewards on the pitch. 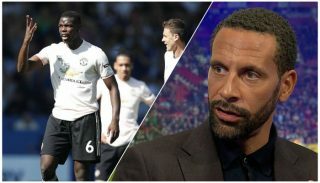 He even rejected Chelsea’s tentative advances over the Summer and subsequently penned a new long-term deal at United, it is evident the desire to succeed at United and emulate his tutor Gary Neville is still burning strong. Rafael has to realise that there is no better footballing education than at Manchester United, he has a boss who will accept a rare rush of blood to head as long as the mistakes are turned into a concrete understanding of what is required to succeed at the highest level. As long as he keeps level-headed and appreciates what he’s got already, his star will continue to shine and he will be the first permanent right-back since our last number 2.